For all of the places I’ve visited in Seville, several are behind closed doors, off-limits to me and the common folk: Palacio San Telmo, cloistered monasteries rumored to be breathtaking, that silly old pijo club in Plaza San Francisco where you need a member’s card to get a gintoncito. Thankfully, many of these clandestine places open their doors during special feast days and holidays, and Seville is no exception. 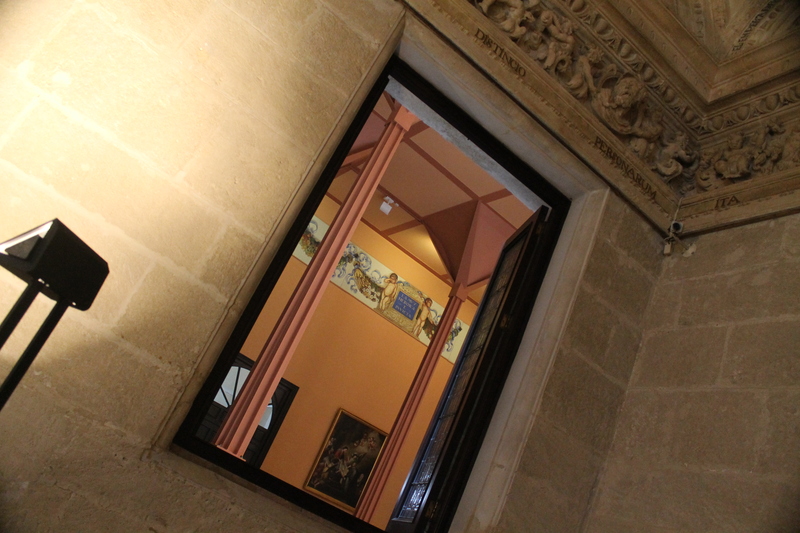 The Morón Air Force Base holds an annual public day before Christmas, and Andalusia Day means places like the Parliament and Town Hall are open during the Jornadas de Puertas Abiertas, and last year I got a peek of the city’s newest museum, the Antiquarum. No work in city offices = come one, come all. Laying between Plaza Nueva and Plaza San Francisco, Seville’s town hall building, called the Ayuntamiento, is a 16th Century stone brick that houses the local government. Everything to budget cuts to weddings take place here, and the plaza that lies out front is home to the city Christmas tree, protests and large-scale outdoor markets, as well as where the “ball drops” on New Years Eve. While the stately building’s neoclassical design is as beautiful on the outside Eastern façade as it is on the inside, I was more transfixed by the details, both ornate and emblematic of Seville. 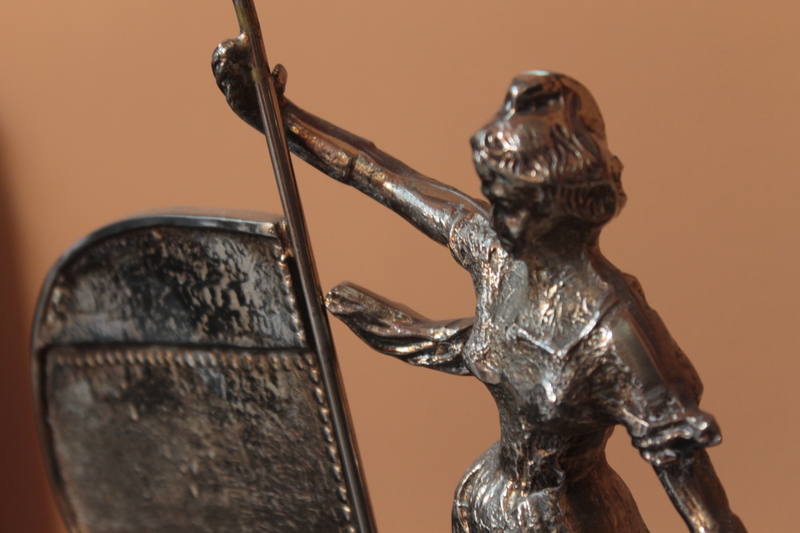 It’s an enormous pleasure to welcome back my first guest blogger, Sandra Vallaure. As a Spaniard who’s lived in and traveled to an extensive list of countries, Sandra’s love for Seville started with a simple weekend getaway, and she’s called La Hispalense home for eight years now and is the author of the e-book Seville in Two Days. Read on for the second in a short series of tips for first-time travellers to Seville. If you liked the experience, have breakfast at Horno San Buenaventura. This time you could go to the one located in the Plaza de la Alfalfa, 9. 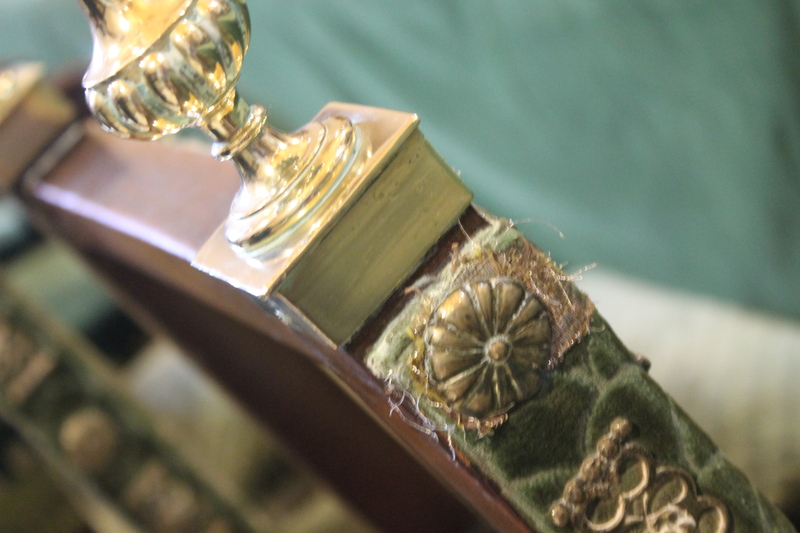 Your day must start at the Casa de Pilatos, the finest palace in Seville, which is just up the road from the square. The mixture of styles (Gothic, Mudéjar and Renaissance) result in a very special place., and the two gardens are peaceful despite the noisy streets surrounding the Casa. It’s a highlight you shouldn’t miss but here’s a tip: don’t pay to visit the upper floor; the real treasures are at the ground floor. 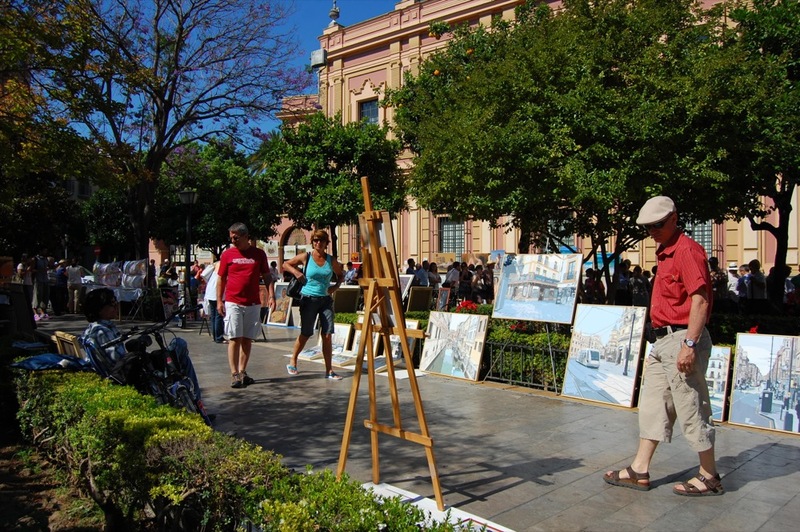 Just in front of the Museo, a weekly art market can be found on Sundays. Photo by the author. From there, walk through the center to the Palacio de Lebrija – a must-see if you liked Casa de Pilatos, as you’ll be touring a beautiful residence nearly on your own – or the Museo de Bellas Artes. The fine arts museum is the second largest in Spain after the Prado in Madrid. A 10-minute walk gets you to Eslava (c/ Eslava, 5) a hidden gem outside the well-traversed tapas bar areas. It’s next to the Plaza de San Lorenzo, my favorite square in Seville. 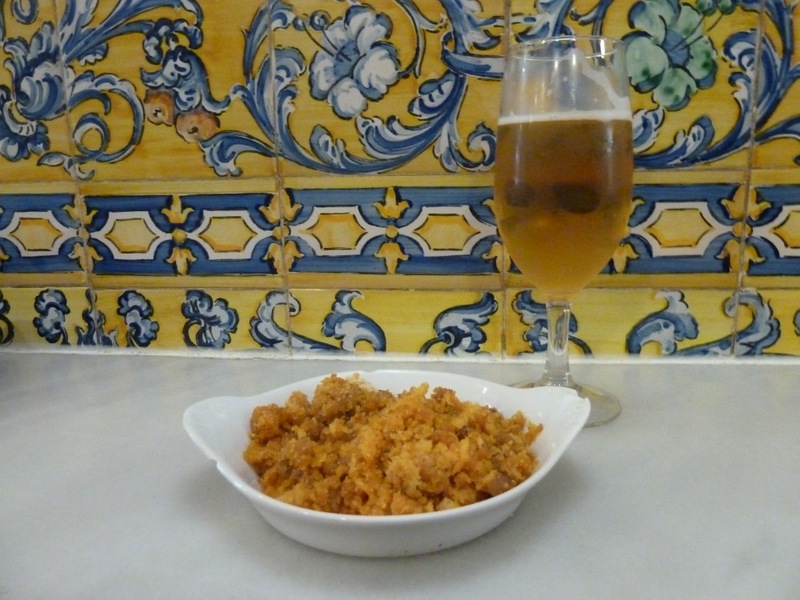 Another option is the Bodega Dos de Mayo (Plaza de la Gavidia, 6), a traditional bar with excellent food and prices. 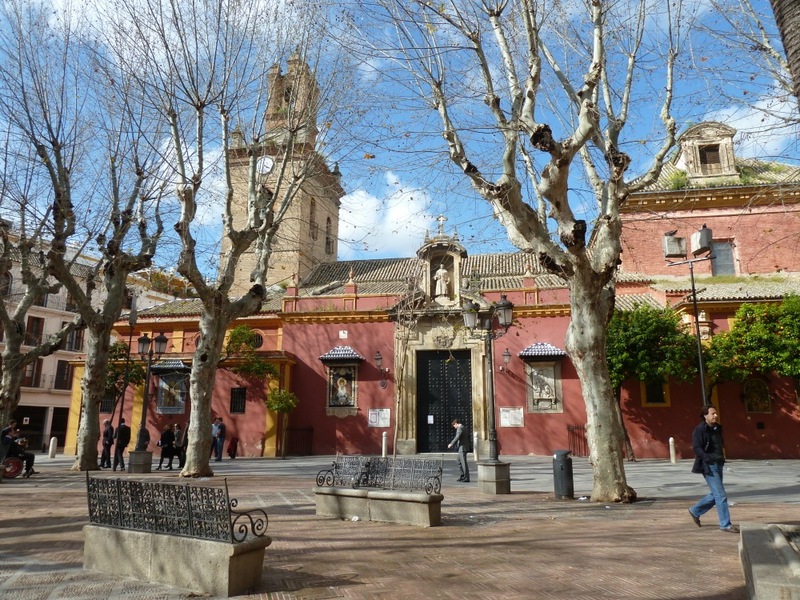 Plaza San Lorenzo, a lively square just off the tourist map. Photo by the author. After lunch, double-back on your track until you reach the Iglesia de la Magdalena. The exterior is beautifully decorated, especially its dome and roofs. The interior is also very rich and it’s one of the main examples of the Sevillian baroque architecture. Unfortunately, it needs urgent restoration in some parts. 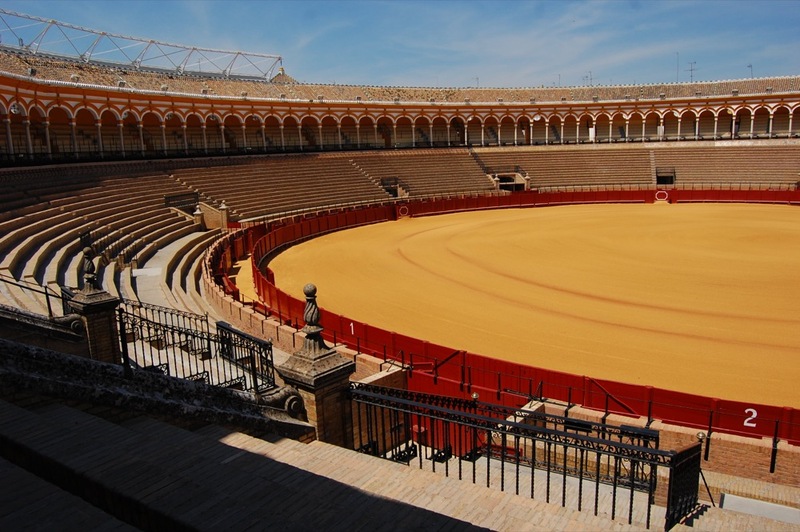 La Maestranza is Seville’s stunning bullring and the oldest in Spain. Though not the oldest or largest , its traditional architecture and Andalusian touches make it a unique place. If you want to know more about bullfighting, the guided tour provides a good summary. The gorgeous bullring at the foot of the Guadalquivir. Photo by the author. Then, cross the Puente de Triana, the oldest bridge above the Guadalquivir. Walk along the Calle Betis and enjoy the views of the Guadalquivir and the Torre del Oro. I seriously recommend Las Golondrinas for dinner. You can either go to the classic one in Antillano Campos, 26 ,or the modern one in Pagés del Corro, 76. They are 2 minutes walking one from the other and the food is awesome. Alternatively, you can try Paco España at c/ Alfarería, 18. It’s a very welcoming bar. The salmon-pink facade of the Iglesia del Salvador is a popular meeting point for sevillanos. Photo by the author. 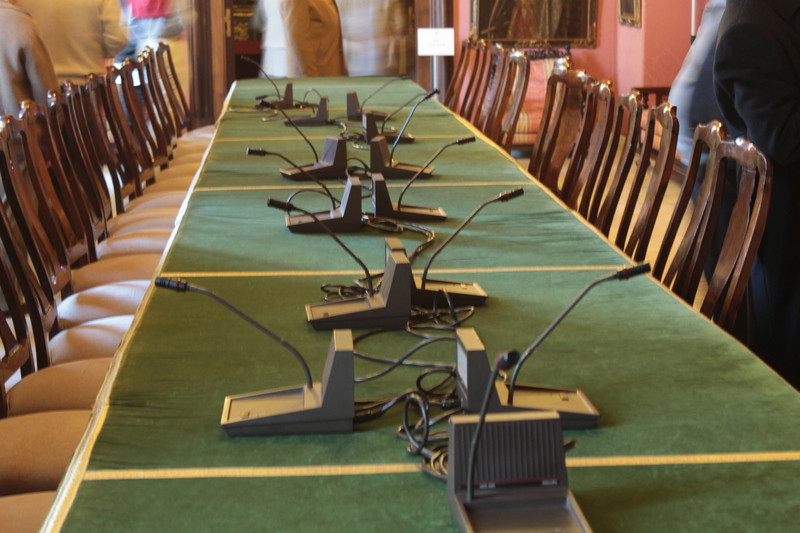 As you can see, Seville is one of the most vibrant cities in Spain. In my opinion, it’s also the most beautiful. Actually, if you ask around locals will tell you that “there’s no need to go anywhere else”. And they’re right! Sandra lives in Seville and spends all her free time exploring the world. She is the editor of Seville Traveller, an online resource about the city. She has also published an e-book that will help you plan the trip of a lifetime. You can follow her on Twitter or keep posted through Facebook. 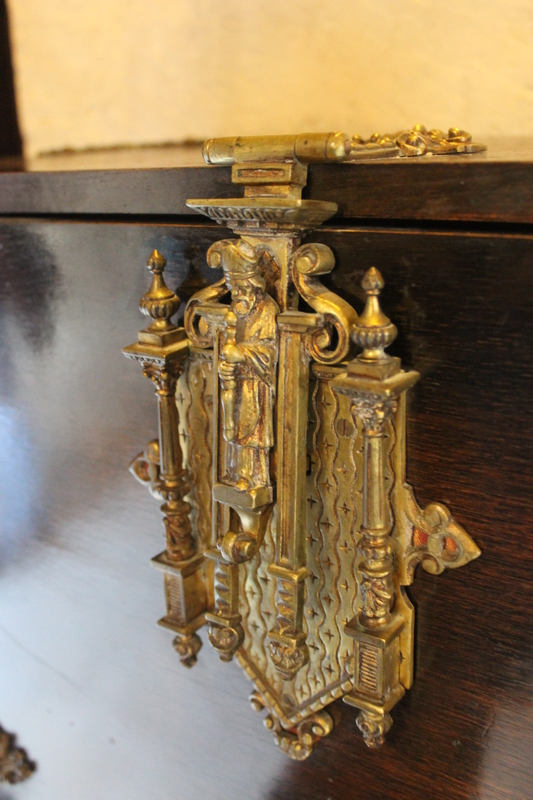 It’s an enormous pleasure to welcome my first guest blogger, Sandra Vallaure. As a Spaniard who’s lived in and traveled to an extensive list of countries, Sandra’s love for Seville started with a simple weekend getaway, and she’s called La Hispalense home for eight years now and is the author of the e-book Seville in Two Days. 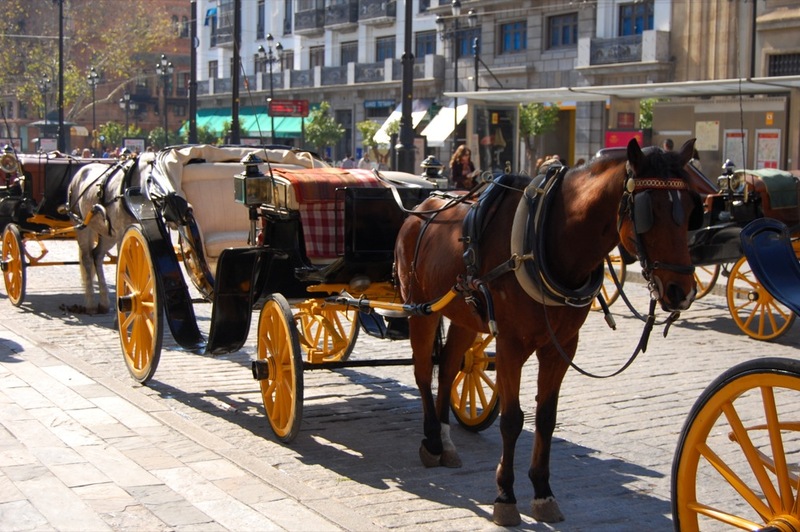 Read on for the first in a short series of tips for first-time travellers to Seville. All photos were taken by the author. 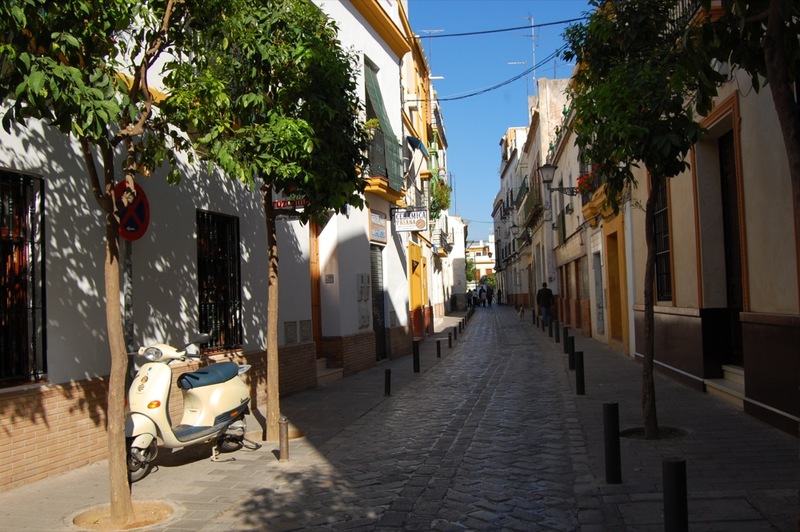 Seville is a place that you need to discover walking. Otherwise, you’ll miss the point. 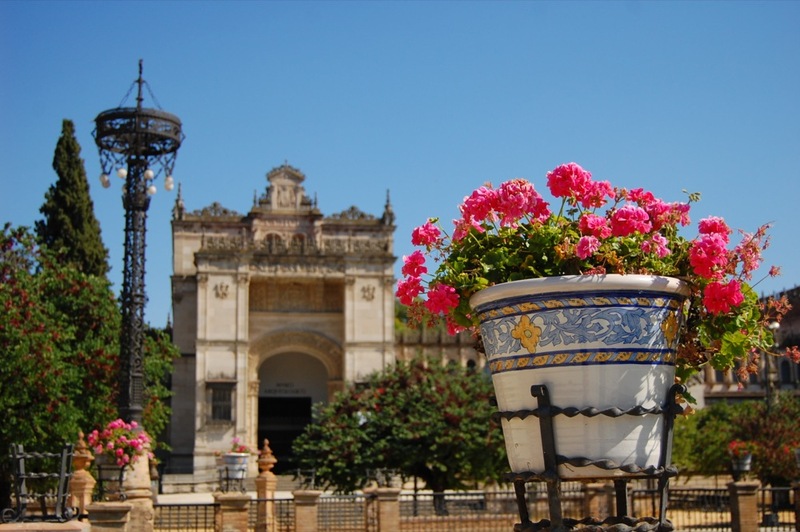 Seville is not only a bunch of magnificent buildings and palaces. It’s also its people and their passion. you won’t miss anything important. So, get a map from the Internet and let’s wander its dazzling streets. Why not have breakfast at Horno San Buenaventura (Avenida de la Constitución, 16)? Sevillians love to have breakfast outside. late in Spain and you won’t find any tapas bar open before 1.30pm. From there, walk to the Plaza Virgen de los Reyes where your walk begins. You will recognize it because it’s usually full of horse-drawn carriages. 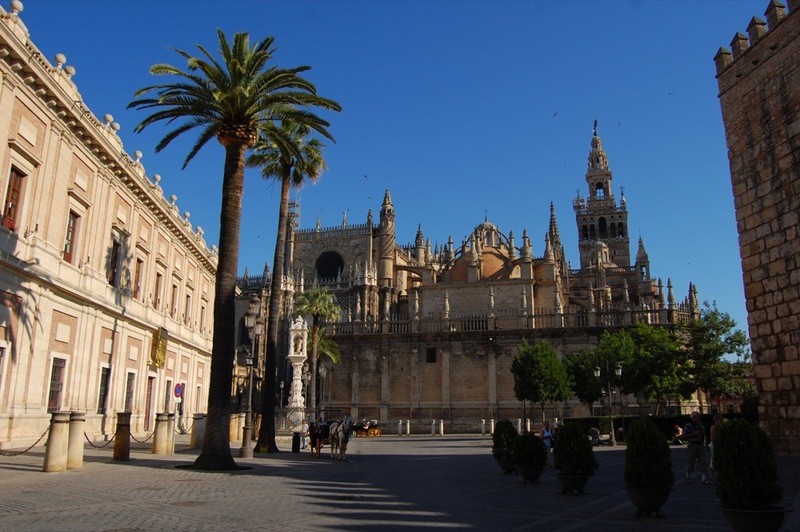 The central fountain is surrounded by three buildings: The largest one is the Cathedral, with the magnificent Giralda tower dominating the city. 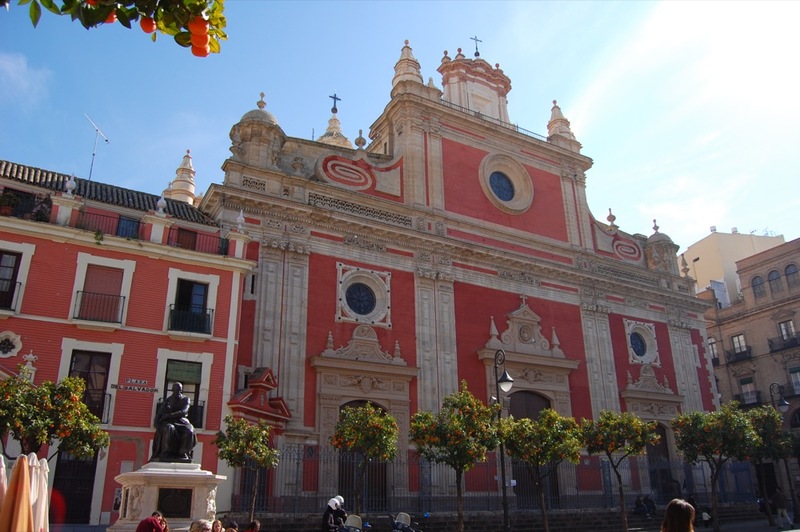 The red baroque façade belongs to the Archbishop’s Palace (Palacio Arzobispal). Finally, the white building is the Convento de la Encarnación. Walk along the Cathedral to reach the Plaza del Triunfo. Look for the Lion’s Gate – the Alcázar’s entrance. The Alcázar is one of the most impressive monuments of Seville and a favorite of mine. This royal palace was built in the 14th century, and as time went on, more buildings were added to the complex, resulting in a mix of Arabic styles and Christian influences. Both the palace and its gardens are worth it, so take your time and enjoy this romantic place. Once you exit the Alcázar, you enter the Patio de Banderas. Keep walking to reach the Plaza del Triunfo again. Next, head to the Cathedral. Did you know that Seville is home to the largest Gothic Cathedral in the world? Built on the site of an old 12th Century mosque after the Christian reconquest of 1248, it took more than century (1401 – 1506) to build it. Once you are there, it’s easier to visit following a counterclockwise circuit so you don’t miss any of its chapels. Then, go to the main altar where the altarpiece is magnificent. Don’t forget the Royal Chapel and Columbus’ tomb. The must-see is the Giralda, originally the mosque’s minaret that was transformed into a bell tower. I recommend you climb to the top. The views from there are spectacular and you’ll get to see the whole city. Moreover, there are ramps instead of steps so you won’t find it difficult at all. Finally, go back down and exit to the Patio de los Naranjos. This patio is full of orange trees and was the place where Muslims used to wash themselves before entering the mosque to pray. This is where your visit to the Cathedral ends. Walk along Calle Mateos Gago to have lunch at Las Columnas (C/Rodrigo Caro, 1). They offer very good, traditional tapas (small dishes) and montaditos (small filled buns). Alternately, you could try Bodeguita Antonio Romero (C/Antonio Diaz, 19). From either two places, the Hospital de la Caridad is a few minutes’ walk. This charity hospital was founded in 1674 and it still serves its initial purpose: taking care for the elderly and handicapped. But the real treasure is inside its walls. The church is one of the most impressive of the entire city, and it contains masterpieces from painter Murillo and sculptor Valdés Leal. The visit won’t take you long so can now head to Puerta de Jeréz and walk along the Calle San Fernando, where the Real Fábrica de Tabacos is. Nowadays it’s Seville University´s main building and worth a quick visit. If not, cross the Plaza de San Juan de Austria and head South to the Parque de María Luisa (don’t get confused with the Jardines de San Sebastián, which are next to it). The Parque de María Luisa is the largest park of Seville. 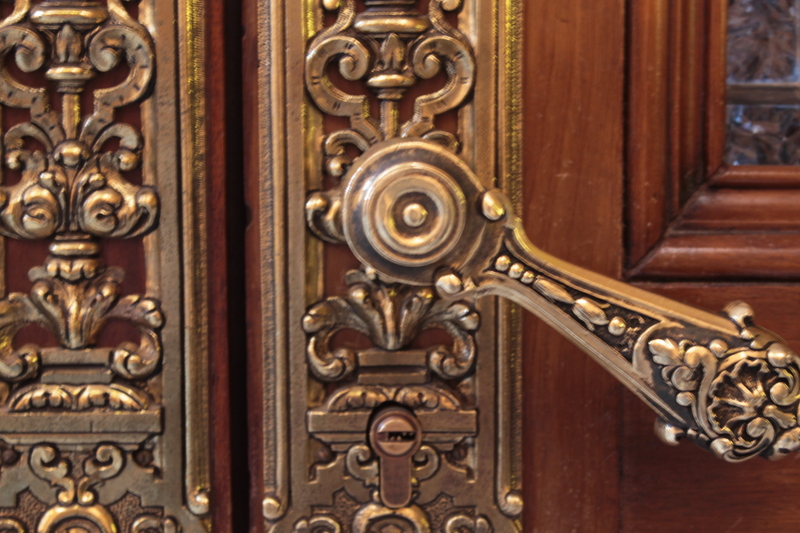 Inside you can find some of the most important buildings of the 1929’s Ibero-American Exposition. The impressive Plaza de España is one of them. as it was the Spanish pavilion. The Plaza de España is one of the most remarkable constructions of the 20th century, and of the city in itself. Its size is spectacular, and it’s even been used as the backdrop for several films. Along the half-moon building, there are detailed tiles and ceramic handicraft, symbolizing Spain and its relationship with Latin and South American countries. You can have dinner at LaBulla (c/ Dos de Mayo, 26), the best original cuisine you’ll ever taste. And if you aren’t too tired after that, go for a drink to the top roof terrace at Eme Hotel or Hotel Doña María and enjoy the gorgeous views of the Plaza del Triunfo, where your walk began. Why not include the Barrio de Santa Cruz? Despite guide books and city tours including Barrio Santa Cruz as a highlight, I am not a fan. Traditionally the old Jewish quarter, it was restored during the early 19th century. 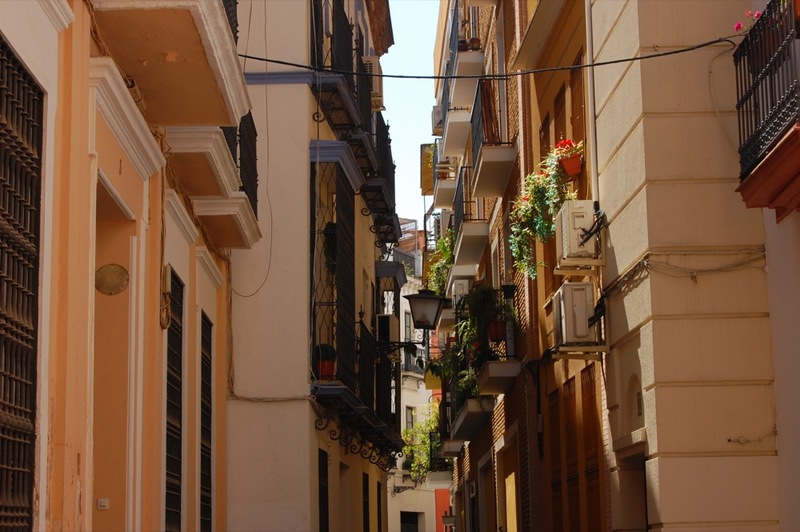 It’s true that it may have some charm but the hordes of visitors crowding the narrow lanes and the touristic tapas bars offering bad quality and expensive meals spoil the neighborhood. If you want to experience a small Andalusian town, go to Carmona or Arcos de la Frontera, to name a few. If you do go, wander around its narrow lanes and visit the Hospital de los Venerables. Sandra lives in Seville and spends all her free time exploring the world. She is the editor of Seville Traveller, an online resource about the city. You can follow her on Twitter or keep posted through Facebook.